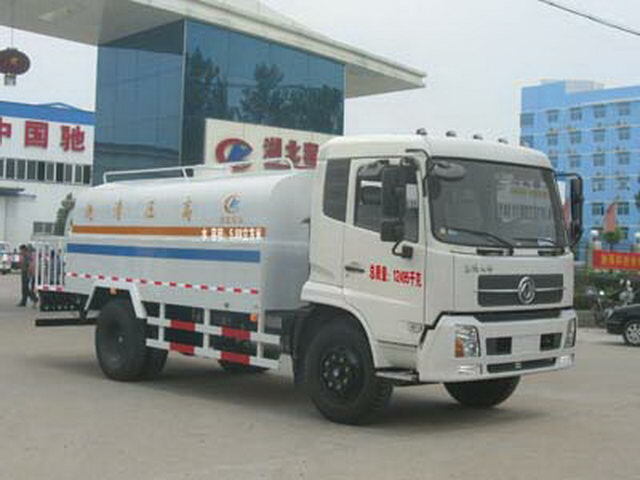 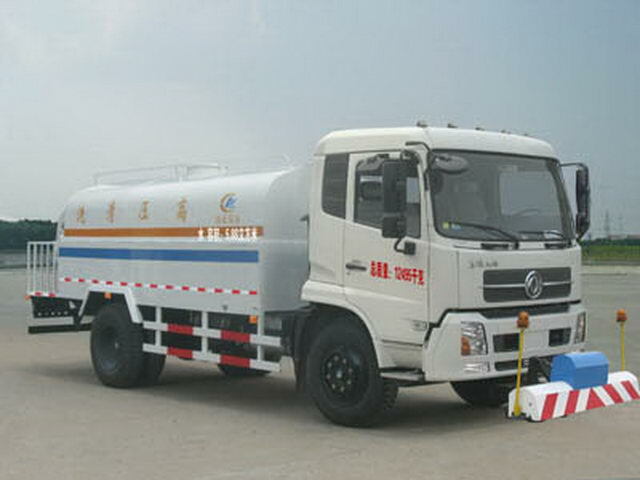 động cơ đẩy: p 180 N.
Effective volume of tank:5.88Cubic metre;Tank size(long/The major axis/Short axis)(mm):3720(Actual length2720,Front part1000For installation of high pressure pumps)/2100/1380,Rear overhang(mm):1870,2020And wheelbase(mm):3800,3650One-to-one correspondence. 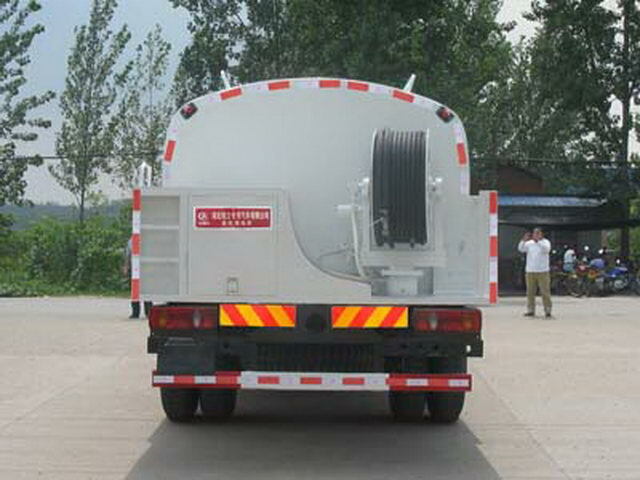 The optional front cleaning device,The optional cleaning device when the front suspension for the front2510mm. 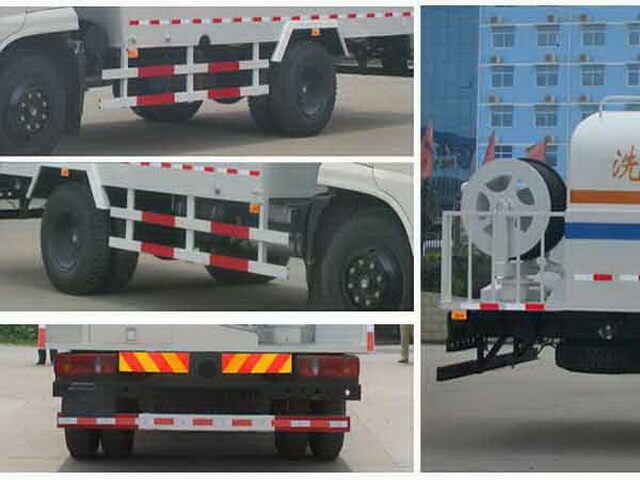 Protective material:Q235Acarbon steel,Connection mode:The left and right sides and the rear lower part are protected by welding connection,Rear section size(mm):100*50,Rear protection height(mm):520.ABSModel and manufacturer:3631010-C2000Dongfeng Electronic Brake System Co., Ltd.
Other: Chassis dome, front fog lights, front spoiler, a side window decorative plate are optional;Optional front silencer;Size length and wheelbase in the order of correspondence;The quality parameter change due to the change of the size parameter is smaller than that of the3%,Can be ignored;Engine net powerISDe160 40/112.2kW,ISDe180 40/126.2kW,EQH180-40/129kW,ISB180 40/126kW;Optional speed limiting device,Speed limit80km/h.AABS,ABSModel:3631010-C2000;ABSManufactor:The East Branch Knorr commercial vehicle braking system(Shiyan)Limited company.